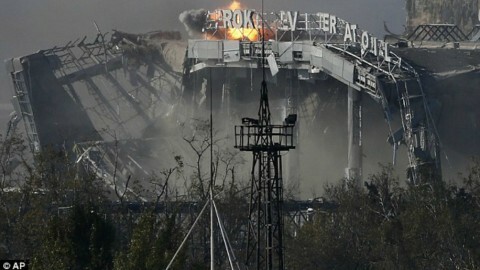 Recent UN data shows Ukraine now has over 1 million internally displaced persons. While government’s initiatives are often criticized for inability to address the needs of IDPs quickly and efficiently volunteers seem to have taken the central role in aid provision to those who had to leave their homes. 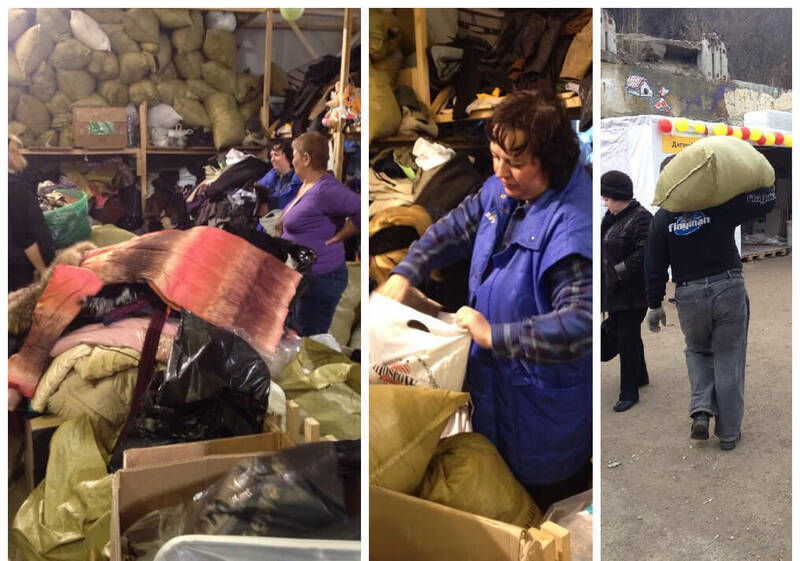 EMPR visited the Center for assistance to internally displaced in Kyiv entirely organized and run by volunteers. Volunteer-run Center for assistance to internally displaced in Kyiv’s Podil district is a busy place. As we approach it from Frolivska street we spot two people exiting their car with big plastic bags right by the entrance to the Center. 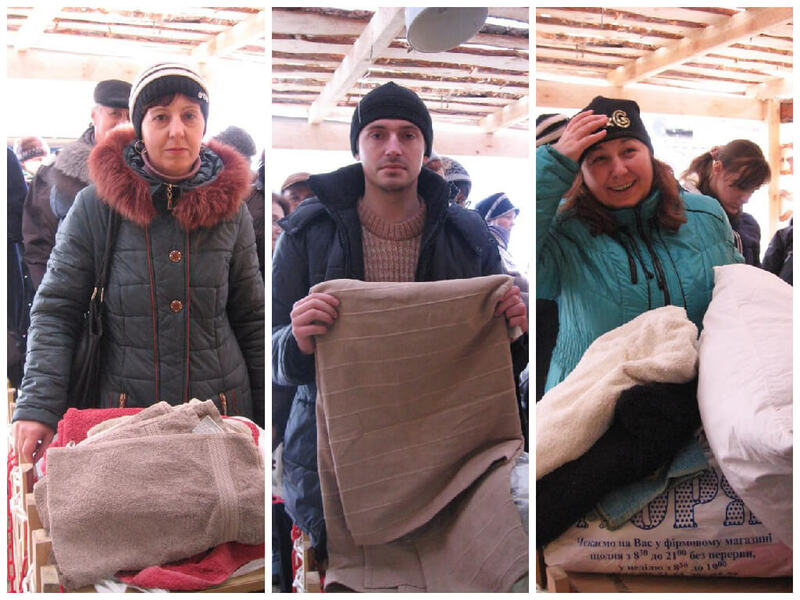 They take a few improvised wooden steps up and pass their bags through the open window – the Center’s collection point. Later when we find ourselves inside the collection point we see that the incoming flow of bags and packages through the window nearly does not stop. It is being confirmed by Lesia Lytvynova, one of the Center’s founders, key actors and a mother of four who is showing us around. 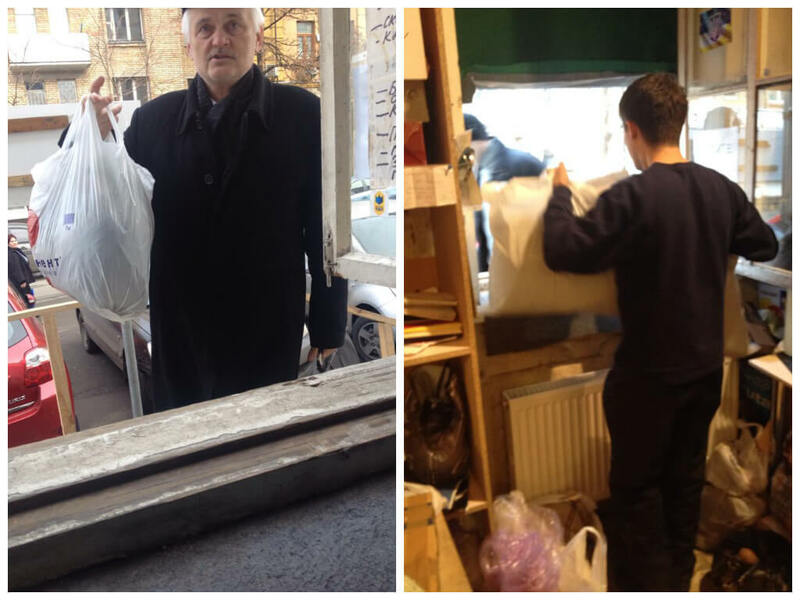 “Kyivites are bringing us stuff all the time,” says Lesia as another bag is being taken inside through the open window. People bring clothes, kitchen utensils, books and toys, mostly used but in good condition. 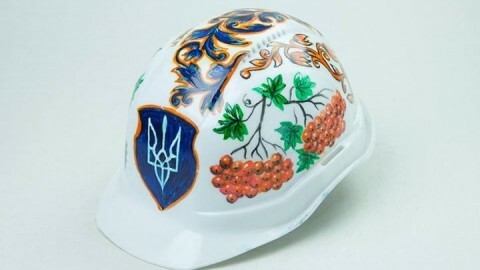 People from other cities in Ukraine send their stuff using courier services. Consignments varying from small boxes to several trucks also arrive from abroad, they are being sent by Ukrainian diaspora communities and humanitarian NGOs. The Center is also accepting donations. According to Lesia the interaction with the state is rather of the unsystematic nature. 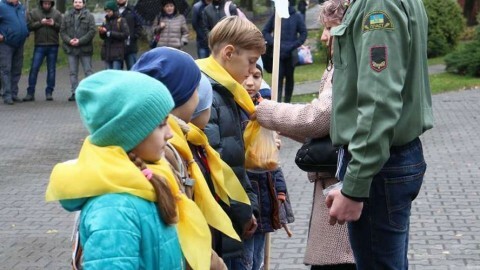 In a comment released earlier to media Lesia quoted an example of the Center’s successful cooperation with a state agency – when large consignments of humanitarian aid are sent from abroad the Ministry for Social Policy helps bringing them in. We start our visit to the Center from the point where most newcomers IDPs get first. 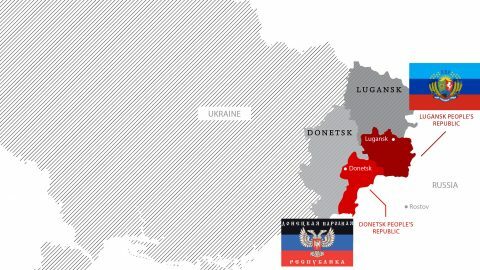 “People who come here for the first time get to the reception where they need to show their passport with a registration stamp indicating Donetsk or Luhansk regions and the certificate confirming that the person has registered as an IDP with the state authorities,” tells us Lesia. 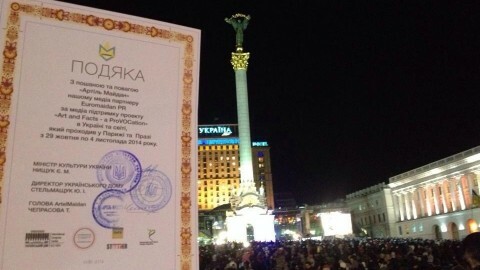 She adds that the certificate is being asked for in order to avoid servicing the people who are registered in the above regions but have been living in Kyiv for a long time. She says the Center has witnessed such cases in the past. Each family then gets registered and gets its own profile in the electronic database. It makes it easy to trace the visitor’s history with the Center and details of the aid received. Afterwards a family representative is issued a check, where according to the family’s needs each product category and quantity is indicated. The goods are handed out based on the checks. Lesia shows us a check that includes overcoats for adults, clothing for children and kitchen utensils. “We help people within the first 1,5 months after they’ve relocated, this time is generally enough to have all the necessary documents issued. After this term they find themselves in equal conditions with Kyivites many of whom are renting their apartments,” notes Lesia. According to the Center’s rules there are certain limits on what is being given out to one IDP family. 2 pieces of winter clothing per adult, 1 baby carriage and 1 car seat per child, 1 blanket and 1 pillow per person. What we offer without limits is hot meals and tea, notes Lytvynova. 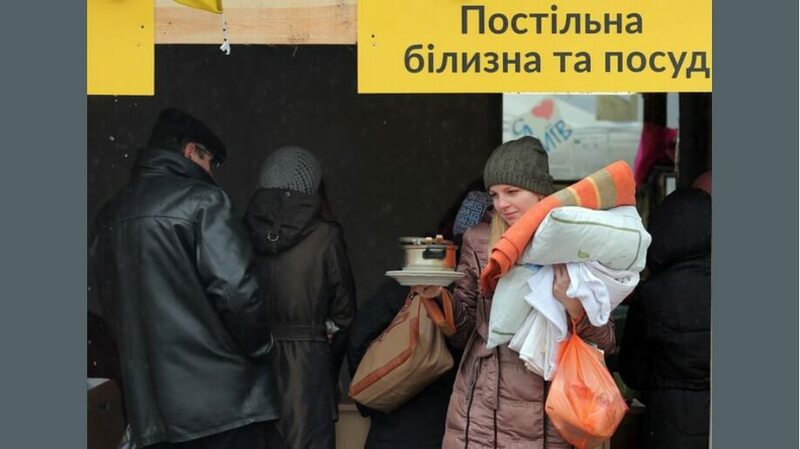 The meals and tea are prepared by the Malteser International – an international relief organization that was also feeding and warming Euromaidan participants. After the goods are sorted they are taken to various kiosks outside on the territory of the Center. Where the Center now stands some decades ago “Yunist” clothing factory had its capacities located. In its more recent history this place was supposed to become a construction site for a trade center. “Due to the current economic hardships the construction never started,” explains Lesia. “The owners let us rent this place for a symbolic sum of UAH 1 per year,” she adds. We get outside and find ourselves amid the tents and kiosks installed here and there across the concrete platform. Each tent is a distribution point for a certain category of goods. As we walk we see a small yellow bus with a sign “Job search”. 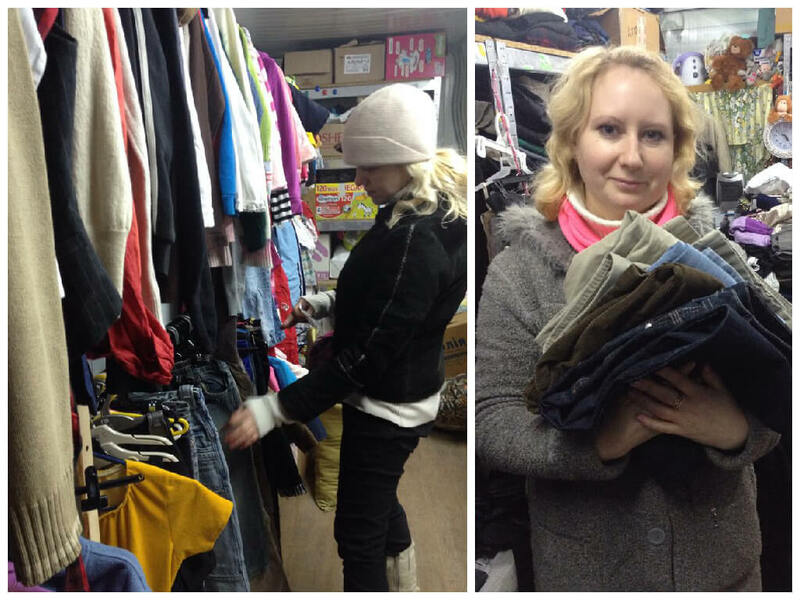 “It’s a consultancy point where our volunteers help [the IDPs] find a job,” says Lesia. “We are constantly checking the vacancies available for the IDPs”. According to her the Center helped find jobs to over 4 thousand IDPs in the 6 months that the Center has been functioning. Lesia points our attention to the trailer on the right side of the bus. No limits have been set for its content – children’s toys. Children can come and play here or take with them as much toys as they like. She walks us to the tent where the Center visitors receive their food rations and household detergents packages. The food rations include cereals, canned food, oil etc. As we are heading towards the kiosk with overcoats Lesia leaves us for a moment and returns with her 10-month old daughter Varvara who’s just waken up. Lesia tells us she was active at Maidan while being already pregnant with Varvara – along with other activists they have arranged the delivery of wood and stayed in hospitals in order to prevent the policemen from taking away the wounded Maidan activists. 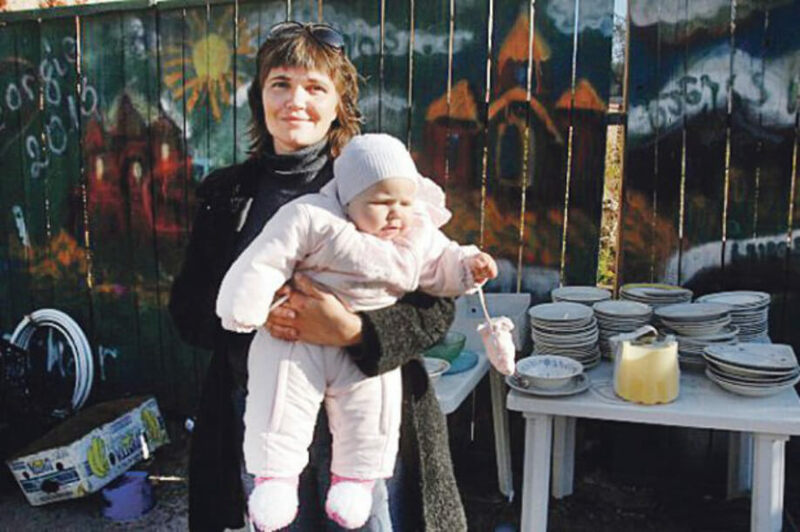 When Varvara was just 3 days old Lesia started assisting the IDPs. 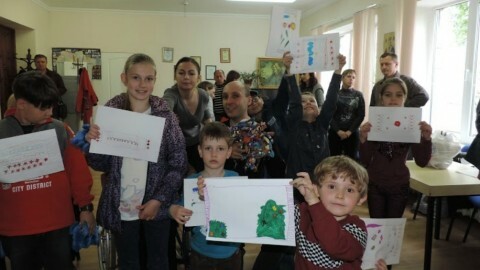 “I love my children, I want them to live in a better country,” explains Lesia. Before the events Lesia, 39, was an acclaimed documental film director. Now she spends 12 hours a day working in and for the Center. Her work same as the work of all other volunteers in this place is volunteering, not paid. Each volunteer spends in the Center as much time as he/she can afford, “we are not setting any time commitments for them as they are all volunteers,” notes Lesia. Our next stop is at the kiosk with children’s clothes. Here we notice two dungarees of the same colour and model which seem to be brand new. Lesia confirms that they are new indeed. “We agreed with a Danish producer who has shipped us these items,” she explains. 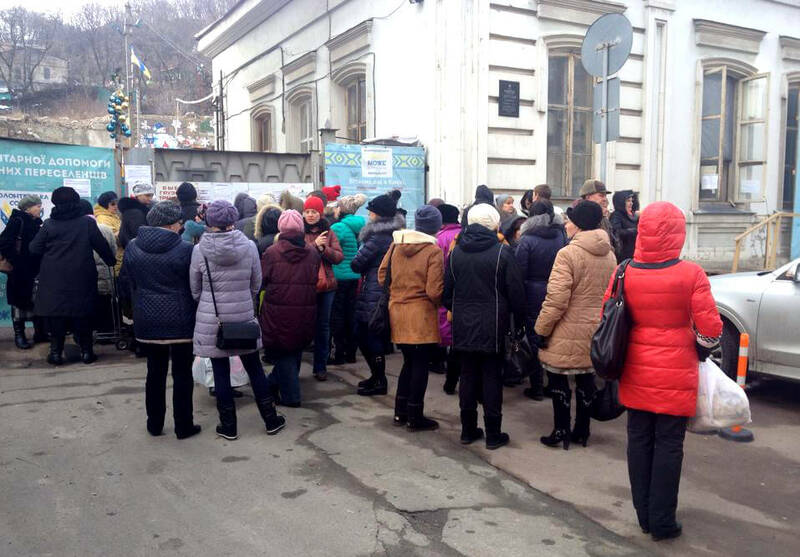 As the spring starts but it’s still quite cold the line to the kiosk with overcoats for adults seems to be the longest one in the Center. At some point of walking between the kiosks Lesia passes Varvara to the two young girls – volunteers at one of the kiosks who have just finished their smoke break. Lesia walks us to the tent where everyone can have a hot tea and a hot meal (potatoes with meat or rice with vegetables today). In the corner of the tent there is a screen – electronic queue management system so that while staying here people can still follow their position in the line. “A’s on the screen are the families who came here for the first time, B’s are the ones who’ve been here before,” says Lesia. At 15.00, three hours after the Center opened for visitors there are two dozens of A’s and almost three of B’s on the screen, the count is for families. Over its 6-month long lifespan the Center has provided assistance to over 22 thousand internally displaced. In the “dining room” we notice a long row of shelves with books that according to Lesia are in demand here. In another corner Lesia shows us a small zone with a child feeding chair for families with children. The 30 minutes that Lesia found in her tight schedule to show us around ran to the end. We stop for a smoke. Lesia tells us there is also a medical consultancy usually located in a truck outside of the Center’s gates. Volunteer medics advise the IDPs on the basic therapeutic issues and re-directed them further to specialized clinics if there is such a need. The truck is not there today though. Lesia says the medics as well as the Center’s key volunteers are her team from the Maidan times. “Are you the master here?” chants a woman from another side of the yard all of a sudden addressing Lesia. “You can say so,” replies Lesia with readiness. “We found someone’s registration documents here, they are important,” continues the woman. We thank Lesia as she waves us goodbye and heads back to her routines. To contact the Center visit its FB page.